T'challa keeps popping up here and there in the Totally Awesome Hulk, including and awesome teaser last issue of the Panthertron. 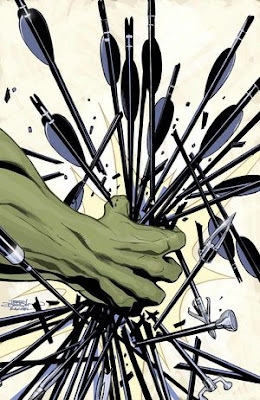 Judging by the solicits and covers of the next three issues, it looks like things are going to pick up a bit. 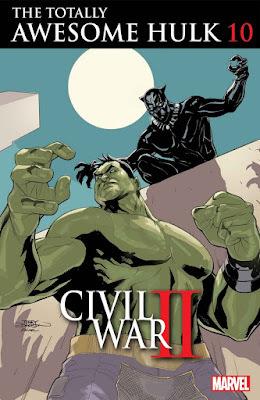 - CIVIL WAR II TIE-IN! - CIVIL WAR II TIE-INS! 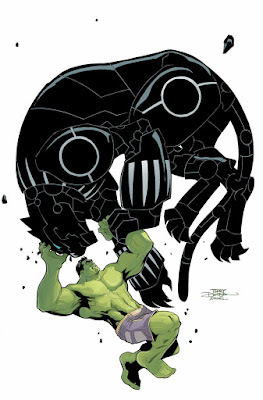 - With the BLACK PANTHER watching his every step, the HULK takes on a mysterious new arch-enemy. But who is AMADEUS really after? - WAKANDA HULKBUSTER IS THAT? - Black Panther brings out the heavy artillery to take on Amadeus Cho, the Totally Awesome Hulk! - When diplomacy fails two of the smartest guys on the planet, fists will just have to do!